Mikey Kenney is a Liverpool-born singing fiddle player who first recorded the material that would found "Ottersgear" in 2008. 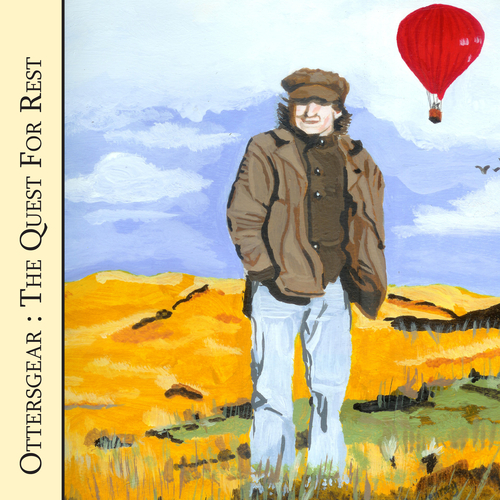 Ottersgear isn't a band as such; more of a musical autobiography; a fleeting glimpse of the inner workings of Mikey Kenney's being. Mikey and Ottersgear first came to the attention of Sotones via the Johnny5thwheel&thecowards connection, when Mikey performed with the band on some dates in the south. Since then Ottersgear have performed numerous Sotones events and Mikey even toured the US as part of Anja McCloskey's band in 2011. It was a natural progression then for Ottersgear to come and release on Sotones.